How great is your outdoors? If all you see is a waste of space when you look out from your window, it’s time to speak to an expert in Cobham, Surrey about building a patio, decking installation or constructing a new summerhouse or garden shed. 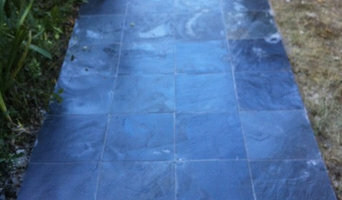 Why stay cramped up and cluttered in your house when you can revamp and reconfigure your outdoor space? Shedworking has become almost a cult phenomenon, so why not work with Cobham, Surrey shed builders and design a shed that can serve a greater purpose than simply storing the family bikes. A beautiful painted summerhouse can be the perfect place to retreat to on balmy summer days and a wooden deck or paved patio area is perfect for summer dining. 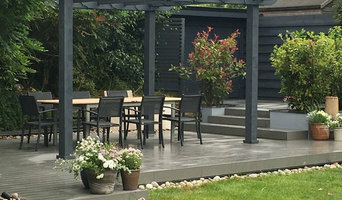 The right professional, whether it’s decking installation experts in Cobham, Surrey, patio installation professionals or shed builders, will work with you to turn your garden into an outdoor extension of your home, giving you more choices as to where you work, rest or play, while adding value to your property in the process. Your chosen specialist will run through your options based on your available budget and space, and discuss potential stumbling blocks such as building regulations and planning approval. 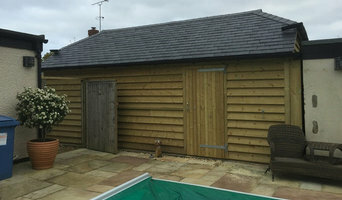 A shed is typically counted as a temporary structure but every planning authority will vary in its requirements and Cobham, Surrey shed builders can help work through this with you. 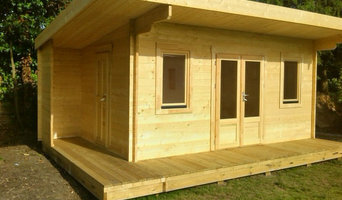 Many summerhouses on the other hand will warrant planning permission due to their size and more permanent nature. When it comes to patio installation, or decking installation in Cobham, Surrey, you will certainly find working with Cobham, Surrey decking installers and patio pavers will lighten the workload and ensure your new garden feature offers a great outdoor space for years to come! You may also want to work with a garden design professional to plan your garden space before engaging a patio or decking installation professional in Cobham, Surrey. This decision may in the end come down to the space you have available for your garden room. Today, there are many specialist Cobham, Surrey shed builders that offer high quality sheds in attractive and colourful designs that can easily be transformed into compact outdoor rooms. At its simplest construction, a garden shed is obviously a very useful storage place, whilst a summerhouse typically works as a real garden showpiece, there as a garden room to be enjoyed come rain or shine. And it can be constructed in almost any style you wish. How about a traditional log cabin or something more contemporary such as an energy-efficient modular design or a Scandinavian summerhouse of interlocking construction? Customise your summerhouse with lighting, heating and even internet connectivity depending on the core use, whether that’s a separate workspace, home gym or sun-bathed hideaway. A summerhouse can look overbearing if it’s more than a quarter of the total size of your garden so, again, check with your specialist to see how big is too big. Patios are a great place to entertain friends and family over a juicy barbecue and bottle of wine on a balmy summer’s evening. A patio looks particularly good at the front of a large garden, teamed with cast iron patio furniture, and can be constructed from a number of different materials such as stone, brick and concrete. Your Cobham, Surrey patio designer or patio installation specialist will be able to plan an attractive patio design which can range from a simple regular tiled layout to complex mosaic patterns. Alternatively, hardwood decking is another great way to bridge indoor and outdoor areas, separated by sliding or French doors. If your garden is lower than your home, consider asking your decking installation professionals in Cobham, Surrey to raise the deck to the level of the floor so you can step seamlessly outside. And it needn’t be a standard rectangular decking installation either. Go with the flow and add a curved border, accentuated by decking lights. If the kids are making you climb the walls, ask your expert to help you design a low-level play area, painted in bright colours and incorporating a sand pit. No kids? A gazebo or pergola will go well with that timber decking installation – the perfect spot for reading or snoozing. Search in the Find a Pro section of the website for Cobham, Surrey patio and decking installers as well as shed builders and summerhouse manufacturers. You can also look through Cobham, Surrey photos to find examples of decks and patios that you like, then contact the decking installation professionals in Cobham, Surrey who worked on them. Or look for photos of summerhouses or sheds that are tagged with the suppliers information.